As time progresses and more game developers come over to Android, whether to port the iPhone version of their game or develop new games, more and more 3D games are appearing - high quality ones at that. 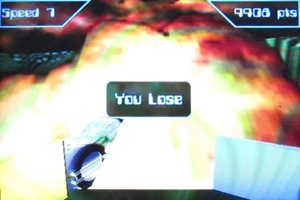 3D games come with a slightly higher price, which is usually redeemed by the extra quality you get. However, choosing which games to buy can be a little daunting. Here is a rundown of our Top 5 3D games currently available for Android, as well as some honorable mentions. 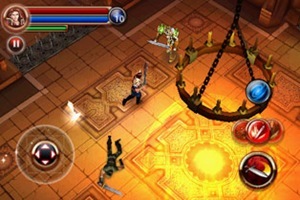 Crusade of Destiny is developed by DvideArts who made the jump recently to Android. 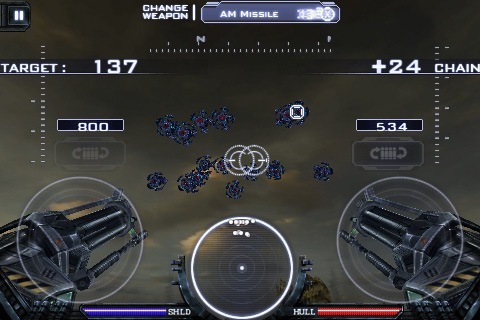 Originally iPhone game developers, DvideArts has released two 3D games for Android, the other being Welcome to Hell. 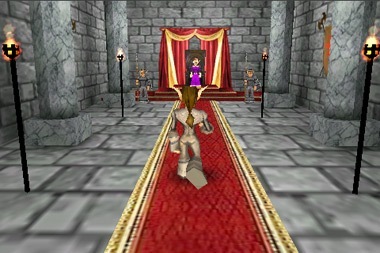 Crusade of Destiny is Android’s first full scale 3D RPG game and was created using the ShiVa3D engine and comes packed with a ridiculous amount of features. Anyone who has played any major MMORPGs, like World of Warcraft, will already be semi-familiar with the interface the game uses. 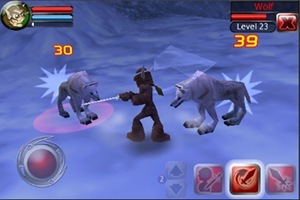 Crusade of Destiny provides countless hours of gaming fun in great 3D worlds right on your phone. For $5.99 it offers a whole lot for a mobile game. Even though this is optimized to run even on 1st Gen phones it is recommended to have a newer Android device. 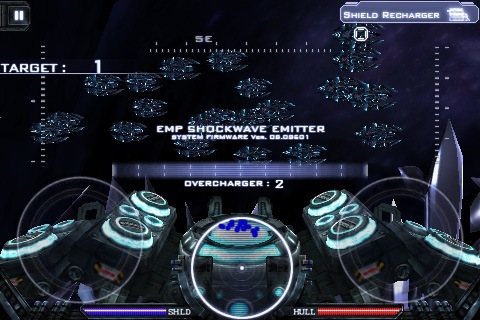 On the Nexus One this game runs perfectly with smooth on-screen controls and rendering. Definitely a must if you are an RPG fan. While only 1 of 2 Mech type 3D games currently available right now for Android, Heavy Gunner offers up a good dose of 3D with a side of Mech gameplay. Developed by Com2Us, this is a Mech 3D FPS (First person shooter) game features a large amount of weapons for you to use in slaughtering aliens as they attack. A game like this offers a large amount of replay value along with its dynamic gameplay. While not optimized for 1st Gen Android devices, most should still be able to play this decently while higher end devices will see smooth and enjoyable gameplay and awesome graphics. The controls are smooth allowing you to concentrate on your task at hand, alien destruction. For $2.99 you pretty much can not go wrong with this title should you need a little Mech FPS in your life. While Gameloft recently received a lot of grief over their DRM policy and ended up changing it to allow for re-downloading of purchased games, the fact remains is that they have produced some great 3D games. While some look like knock-offs of other games (Gangstar looks surprisingly similar to GTA), two stand out from the list with one being Dungeon Hunter. 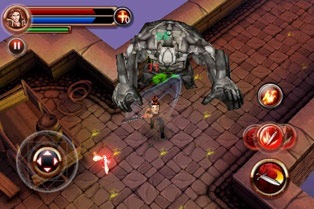 This game will appeal to anyone who likes the top-down action gaming style as found in other games like Diablo 2. Various different styles of quests ranging from killing, protecting, object finding and more. Setting you back with a price tag of $6.99 this game does offer a lot although being one of the more higher priced 3D games for Android. You will definitely want to play this on a higher end device only for the fact that at some points there are a lot of monsters on the screen and when using an AOE (Area of Effect) spell or attack you might experience some chopping or lagging on an older 1st Gen device. If you want a more in-your-face hack n’ slash game you can always check out their other title, Hero of Sparta. You can only purchase these games through Gameloft’s website however. If you are into the mystery/puzzle style of games like Silent Hill then this is pretty much a no brainer when looking for a 3D game to buy that fits into that genre. While not recently new, the Mystique series of games by Bendroid have been the mainstay for the scary puzzle enthusiast with the third chapter being the biggest and best so far. 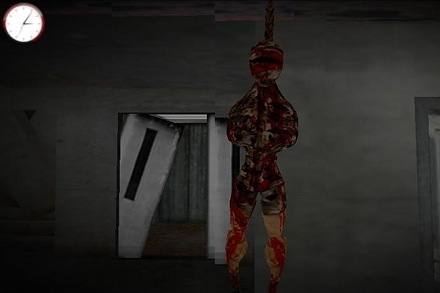 While definitely a dark and evil game, it offers a lot of challenge which most users will have difficulty getting through and completing the game in a short amount of time. You will not be able to sit down and just finish this chapter in an hour but also does not make it seem dull either thanks to the storyline and action scenes which keep this game both fun and eerie. There should not really be any issues with this game running on 1st Gen devices either and Bendroid has also been very diligent in adding support for some custom ROMs as well. For the $2.99 price tag this game will make sure you get your mystery/puzzle fix for quite some time. 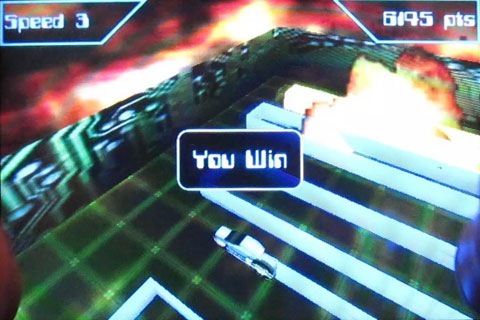 When it comes to racing games there is a good selection to choose from and while everyone will have their favorite, for overall enjoyment, Light Racer 3D by Battery Powered Games still stands out as one of the best. While other games such as Asphalt 5, Speed Forge 3D and Raging Thunder 2 all offer up some stellar gameplay and will probably be hotly debated as one of the best, Light Racer 3D keeps it simple, fun and gives you a dose of Tron in 3D. With smooth controls, easy to pick up gameplay, great 3D graphics and multiplayer, Light Racer 3D offers a wide range of racing enjoyment while keeping things straightforward. As with most 3D games, you will see better gameplay on newer devices then 1st gen ones but don’t let that stop you from installing it on your G1 as it is supported! While not as graphically intense as the other racing games available, the fun/replay value whether in single or multiplayer mode is what this game is all about. A great addition to any racing game collection and only for a $2.49 price. As with any top 5 list you have to make choices and even though there are a lot of great 3D games out there, they all can not be in the list. Here are some titles that are still really great 3D games even though they did not make the list. Polarbit – Polarbit is a game development group that produces some great 3D games. Raging Thunder 2 mentioned above is one of their titles and you pretty much can not go wrong with any of their games. Winds of Steel – A 3D aerial combat game developed by DeckEleven Entertainment, is a dogfighting game which allows you to chose from various combat aircrafts and engage in dogfights and bombing runs. You can choose either survival or campaign mode. Currently in a demo/beta phase, you can check this game out for free. Tank Recon 3D – Another game still in the demo/beta phase, Tank Recon 3D by Lone Dwarf Games offers the same style of game as Winds of Steel but this time using a tank. You can check this title out for free right now as well. Need For Speed – While not fully available just yet, this game will more then likely come out on top as one of the best racing games in the near future. This only did not make this list simply for the fact it is not currently available just yet. 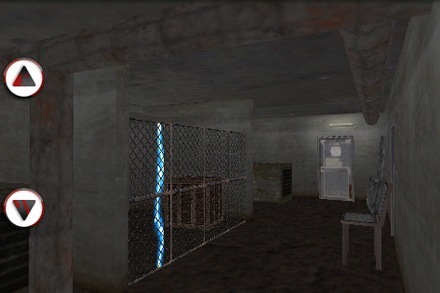 Deadly Chambers – A 3D OTS (Over the shoulder) shooter game by Battery Powered Games, this is currently in a public beta right now and can be picked up for $1.49 which also entitles you to get the full version for no extra cost when it is released. With multitouch support, great OpenES GL 2.0 graphics (only for phones that support OpenES GL 2.0) and excellent controls, this game has the potential to become a huge hit when the full version comes out. Homerun Battle 3D – Featuring cross-platform multiplayer and great 3D graphics, Homerun Battle 3D by Com2Us, is a game any sports enthusiast will enjoy. Create custom players, collect power-up and evolve your player into a homerun hitting machine. Hockey Nations 2010 – Another sports game but this time featuring the sport of Hockey. Featuring things such as animation using motion capture, league gameplay and more, this makes Hockey Nations 2010 by Distinctive Developments a top notch title. 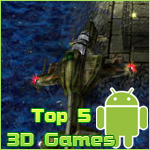 While both the top 5 and the honorable mentions are some of the best 3D games available for Android this is certainly not a complete list by any means. There are new 3D games coming out all the time and others that have been out for awhile that are still worth a look at should you be in the market to purchase a 3D game. With that said, what 3D games do you all enjoy playing?